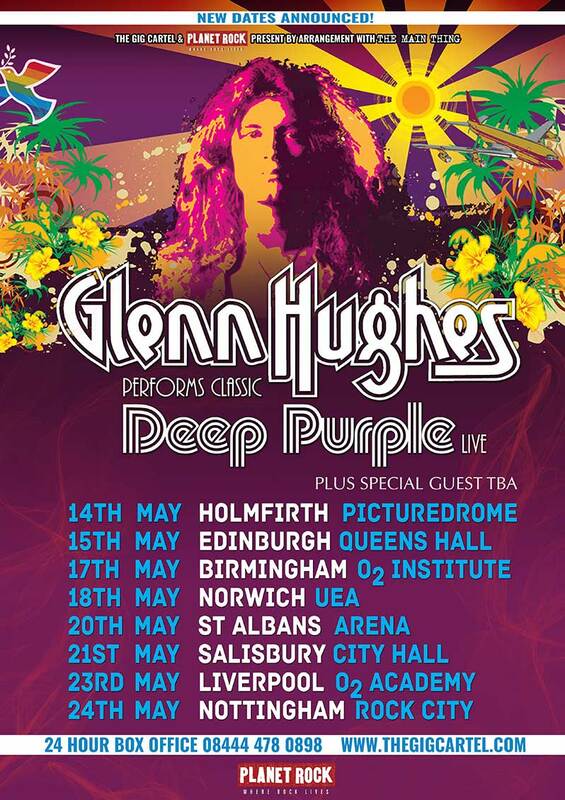 The eight-date UK 2019 tour promise to be a dynamic, turn-back-the-clocks, two-hour live extravaganza homage to his tenure in MK 3 and MK 4 incarnations of Deep Purple – one of music history’s most seminal and influential rock and roll groups. Deep Purple took a quantum leap when the then 20-year-old Glenn Hughes was seconded from British funk-rock outfit Trapeze in mid-1973. As bassist and co-vocalist (with David Coverdale), he helped steer the legendary rock group in the progressive direction of Burn (1974), Stormbringer(1974) and Come Taste the Band (1975), while touring the world for three years.